1. 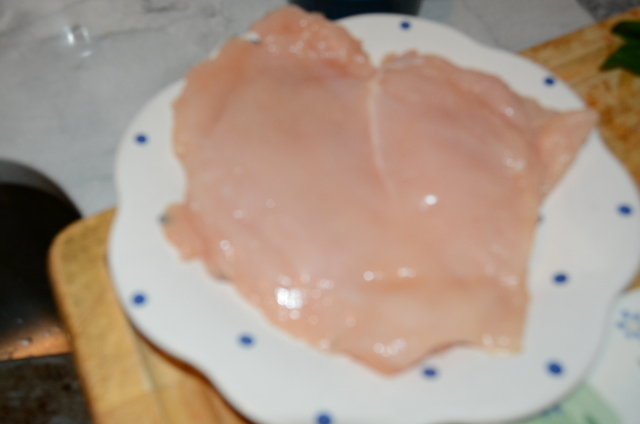 Pound chicken breasts well inside a gallon size freezer baggie. Make sure that it evenly pounded. If it’s uneven it will not fry evenly. 2. 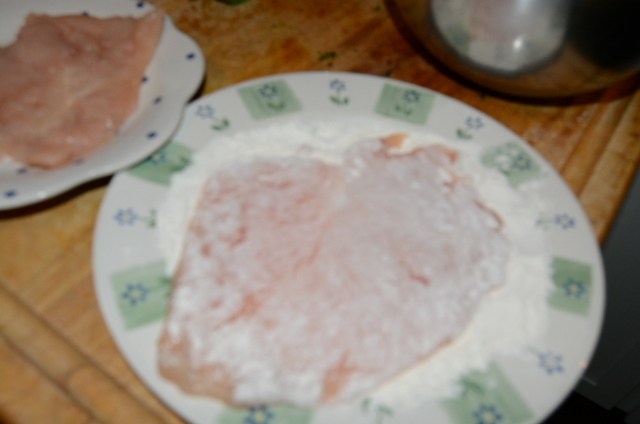 Dredge pounded chicken in flour. 4. 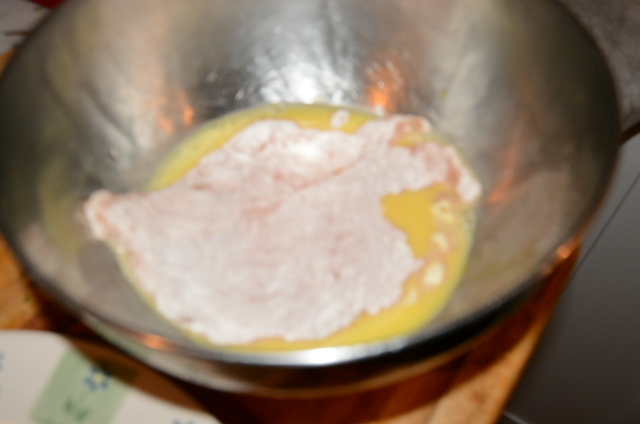 Then place the flour dredged chicken that has been dipped in egg wash into bread crumbs. 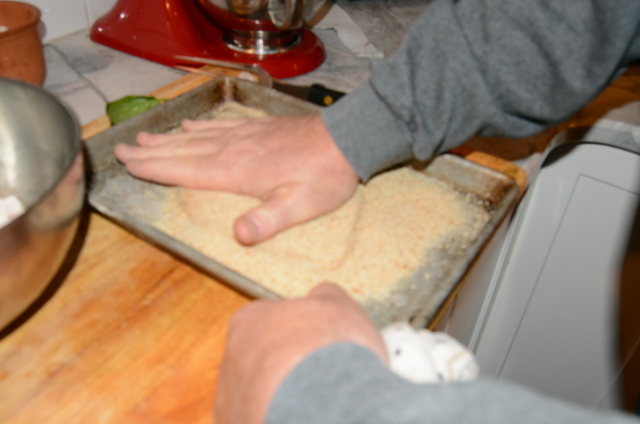 Flip the chicken while patting it down into the breadcrumbs coating both sides well. 5. In a skillet place 1/2 cup of oil and heat on medium high. 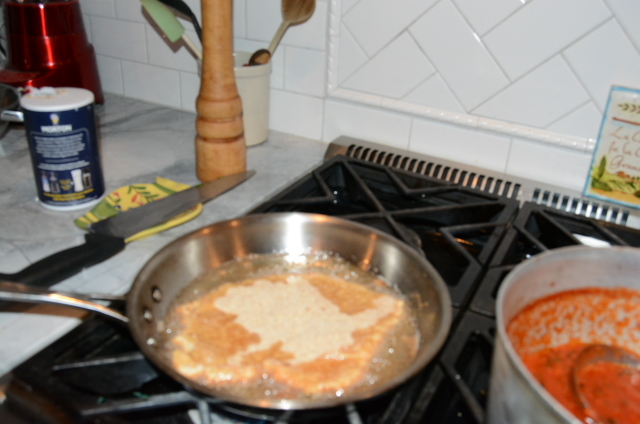 6.Fry the prepared chicken breast in the skillet. One piece of chicken at a time or the oil temperature will drop. 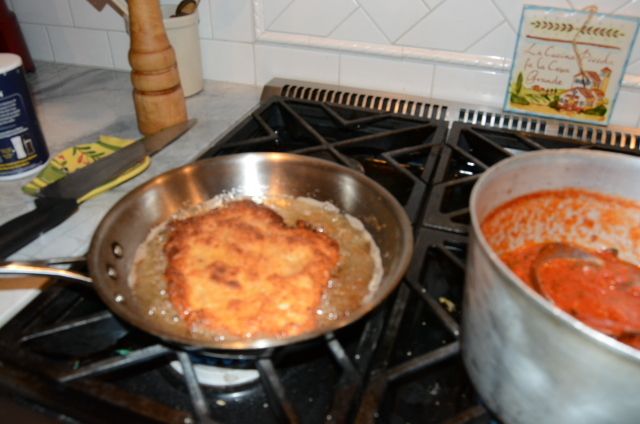 If the oil temperature drops the chicken cutlets will absorb all the oil. Fry for about 5 minutes on each side. The chicken will be golden brown in color. Keep an eye on the chicken so it doesn’t burn. 7. Drain on paper towels. 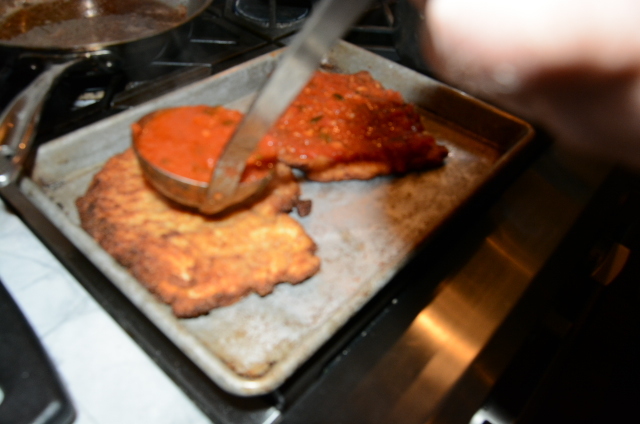 8.Place the chicken cutlets on a cookie sheet and top with ladles of marinara sauce. Amount of marinara sauce varies to your liking. We just put enough to cover the cutlet. 9. Top with mozzarella cheese. We used fresh mozzarella cheese. 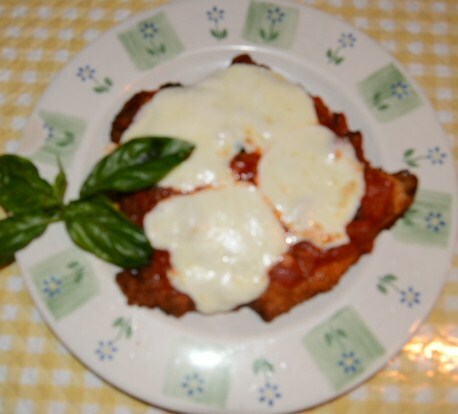 But you can also use shredded mozzarella cheese or sliced mozzarella from the deli. Same with the mozzarella it is all to your liking. We just put a couple of slices to cover but you can add more if you like. 10. 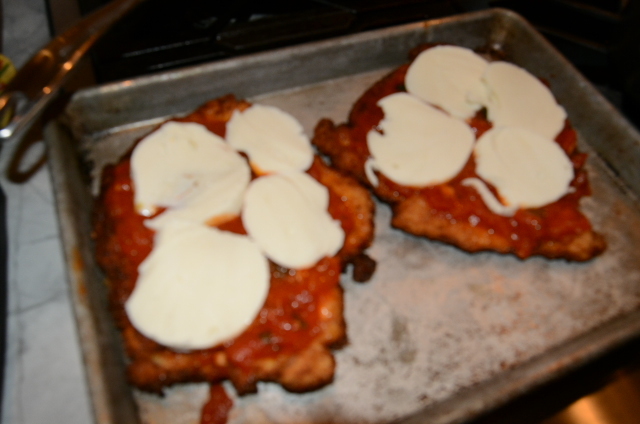 Place cookie sheet with prepared chicken ala parmagiana on second rack in oven and broil just until the mozzarella melts. About 5 to 10 minutes depending on your oven.